5 for Friday: Exit stage left! 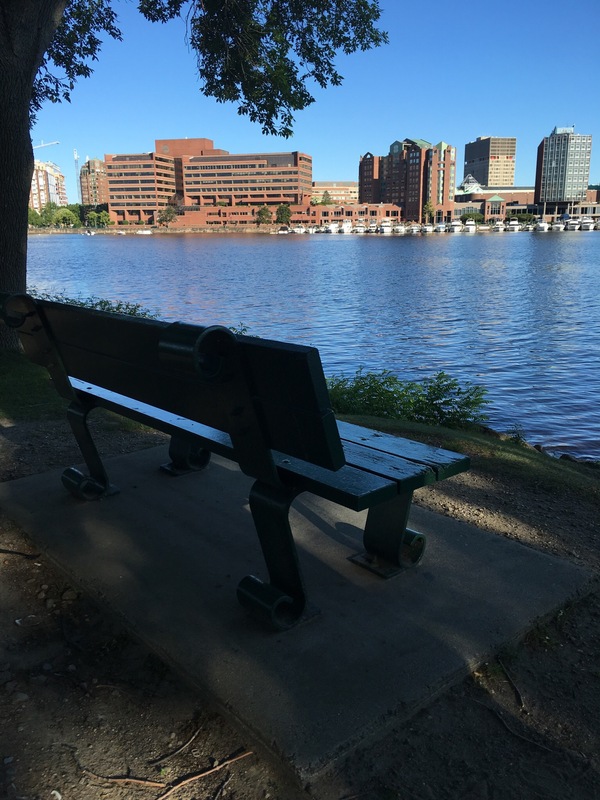 The picture above, with a bench overlooking the Charles river in Boston, is peaceful. It is set below a blue sky on an early Friday morning a few weeks back. Ducks are on the water and people running by on the path (it is Boston after all) adding to the peacefulness of the picture. The pic almost invites you to venture there to relax and take everything in. Especially on a day such as today! Why you might ask? Well, we were all given BREXIT! Just in case you don’t know what Brexit was or you live under a rock, the British voted against staying in the European Union yesterday and what followed was chaos – stock markets tumbling globally, currency markets in flux (not to mention the British Pound falling dramatically) and politicians seriously debating their futures everywhere! This made my day quite interesting and thankfully I was not that exposed much to this madness. In between this massive volatility within the news and the financial markets, I was able to compile this weeks “5 for Friday.” (and it now appears to be Saturday so it is a bit late). The theme…well, let’s just say that today was truly a rocket ship that I did not want to be on but perhaps the future is now permantly changed thanks to Brexit and I better find a seat! NUMBER ONE: Let’s Hope the Rehab works! So I have spent the week on the sidelines, icing my ankle and doing the stretches to make it feel better. It is improved but as I type tonight, it still hurts which stinks. Thinking that the soccer I have been playing in my old soccer cleats could be hurting the cause here so I think new cleats might be in order but we will see. Problem with soccer cleats is simple for me: They are not made like my Hoka’s and don’t contain really any cushion! But cleats are built in such a way because one wants good touch on the ball. If your foot is covered by a tremendous amount of material, like the Hoka’s, you don’t get that touch! NUMBER TWO: Scoring a Hat Trick! So the Runners World Classic is coming up in a few weeks and I am excited! I run the Reach the Beach Relay with the Guzman Guys and that involves three runs in 30 hours. This will be very similar with a 5k, a 10k and an half marathon. The Friday before, I am also running the 1 mile with my eight year old – it should be a tough one because she beat me at the family fun run a few weeks back in Salisbury! Anyhow, this should be a great weekend of running and I hope all these smallish injuries disappear so I can enjoy the time on the road! NUMBER THREE: Here comes the Clifton 3s! I tweeted earlier this week about the Hoka One One Clifton 3s which are shipping on July 1 from various locations.They have expanded the toe box on the new shoes (along with reducing the weight I believe) making them more similar to the Clayton’s, a new entry to their lineup that was released earlier this year. I purchased a pair before my marathon last month and have been debating if the new injuries I have recently run into were from the flatter shoe than the Clifton’s. Anyhow, what I find funny is that the older Clifton 2s are being pushed across the web in every retailer because “soon they will be gone.” I am not going to fall for this! I will just try out the new shoes in a few months when I end up burning out the current pair. NUMBER FOUR: Loving the Aftershokz Trekz! So there was one piece of the Aftershokz Trekz that I was not sure about – battery power. Well, they held up well and I was pleasantly surprised. I left them in my bag for a night instead of charging them in the morning and when I went to wear them the following day, they powered up without any issues. This was not the case with the Bluez 2 which seemed to die rather quickly. Thus they are getting a better rating when I finally get around to doing the blog post (hopefully this week). NUMBER FIVE: Man of Steel! Ok, so with the week spent doing cross training only, I don’t really have any running adventures to share. However, I did see Man of Steel for the first time tonight and I have to say, it is pretty good as super hero movies go. There was an interesting part where they discussed how superman, Henry Cavill, trained for the roll. He had a gym on the set and was constantly working to fine tune his body. Now if I could only get that motivated to do the same! Or at least do some situps! Sorry, no pics this week so just enjoy the print! Next Post CR: Found my next goal…an Ultra?